Ahh, the fragrance of lavender. In Asheville, NC, you'll find it blooming now.Whichever variety you prefer, the payoff is always the fragrance of both the flowers and the stems. English varieties l. angustifolia such as 'Munstead' and 'Hidcote' are smaller at 12-14inches, while l. 'Grosso" are 24-30inches tall. 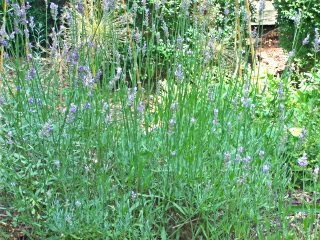 Lavender grows naturally in hot, dry climates...think south of France, places like Provence. 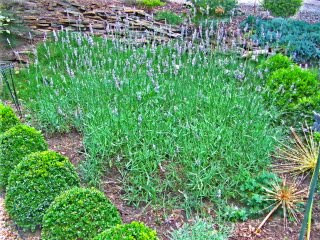 Here in North Carolina, well drained soil is critical...so the 'feet' of your lavender plants stay pretty dry. Good news: Lavender will do well in pots on your sunny porch or deck. 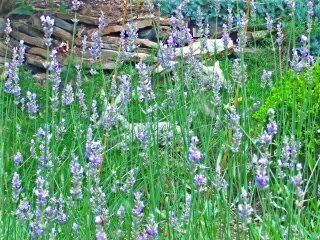 At Abbington Green Bed & Breakfast, we have several lavender varieties in the garden.I love walking past them just to touch them and then smell the fragrance. Proven to soothe and relax...what could be better!